prototypes used this. 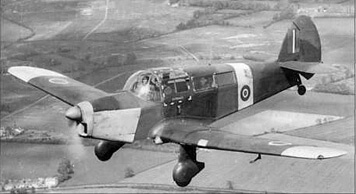 However the RAF changed its specification largely due to large existing stocks of Merlin engines, and the type was re-designed to utilise this engine. 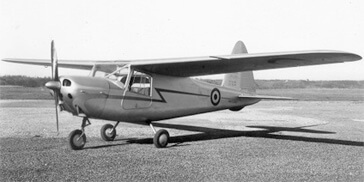 It won the RAF contest over the competing Avro Athena and large orders were placed. 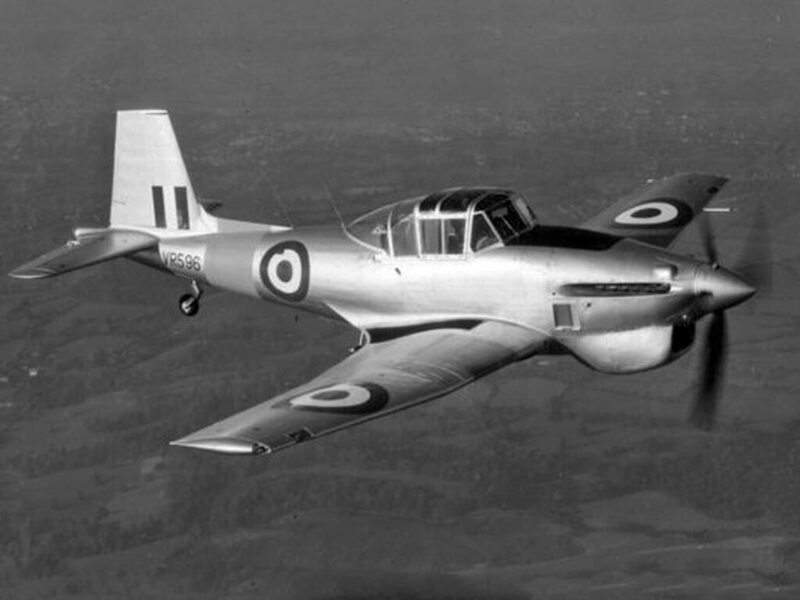 However the RAF again changed its training requirements when an all-jet training scheme was introduced using the De Havilland Vampire T.11 in 1951, and the military career of the 229 Balliols built was short. 30 examples served with the Royal Navy as the Sea Balliol, and 12 examples were exported to Ceylon. 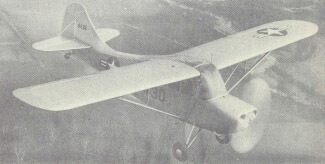 This title includes three flight manuals (called pilot’s Notes) for the Boulton-Paul Balliol, plus two publicity brochures. The files have been scanned from the original manuals and retain any colour pages. 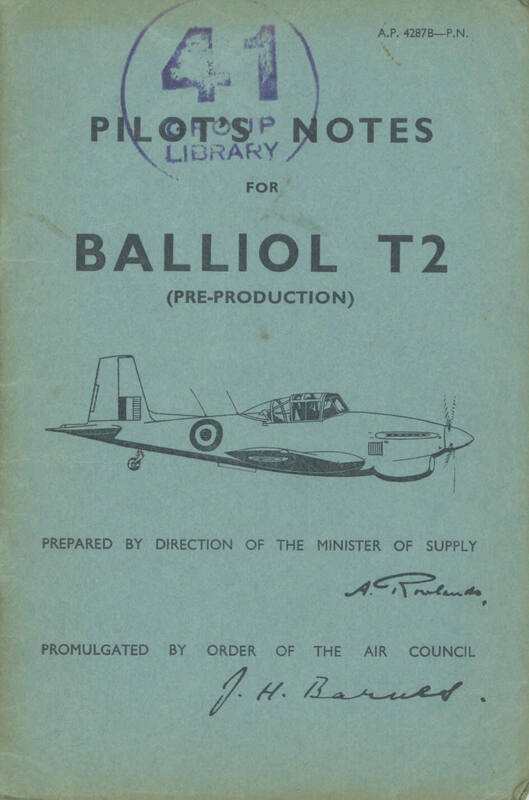 RAF Pilot’s Notes for the Balliol T.Mk 2 (Pre-Production), AP 4287B-PN dated January 1951, with approx 40 pages. 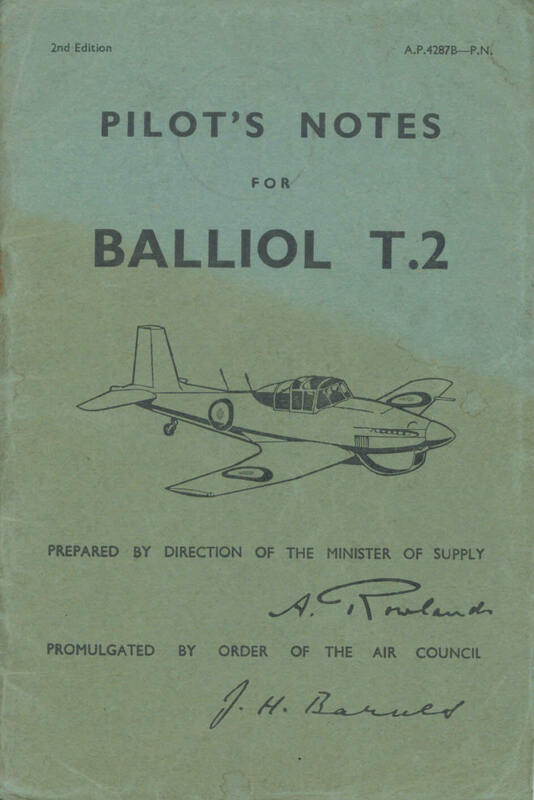 RAF Pilot’s Notes for the Balliol T.Mk 2, AP4287B-PN 2nd Edition dated October 1952, with approx 52 pages. 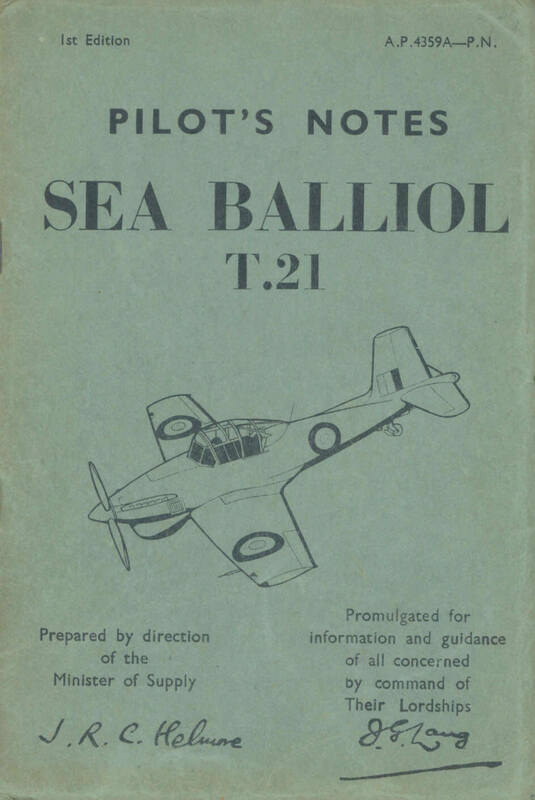 RAF Pilot’s Notes for the Sea Balliol T.Mk 21, AP4359A-PN 1st Edition dated December 1953, with approx 54 pages. 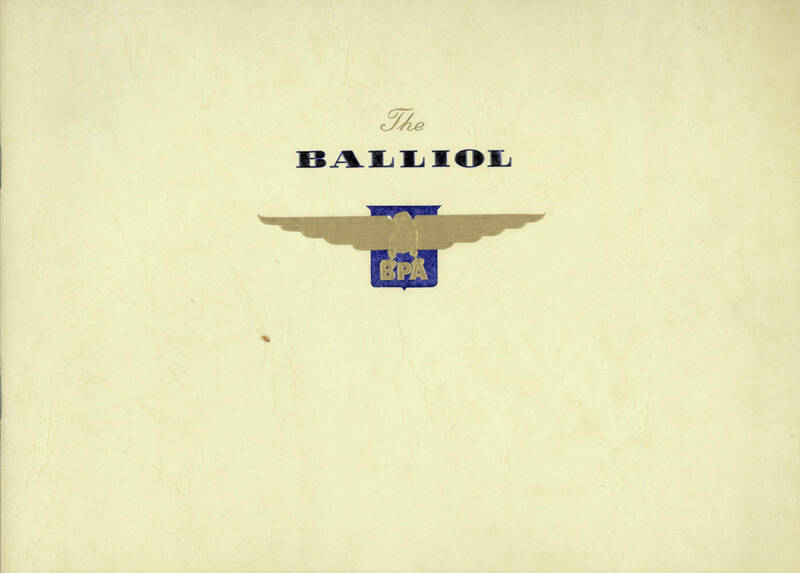 Manufacturers descriptive brochure for the Boulton Paul Balliol Mk 2 Advanced Trainer, undated with approx 25 pages. 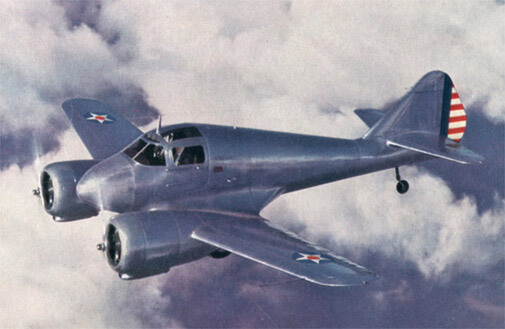 Manufacturers descriptive brochure for the Boulton Paul Balliol, covering the Mk1, Mk 2 and 108 versions, undated with approx 12 pages.